Kell Brook vs Michael Zerafa Predictions and Betting Tips as the former IBF Welterweight champion looks to set up a clash with domestic rival Amir Khan on Saturday 8th December at Flydsa Arena in Sheffield and shown live on Sky Sports. 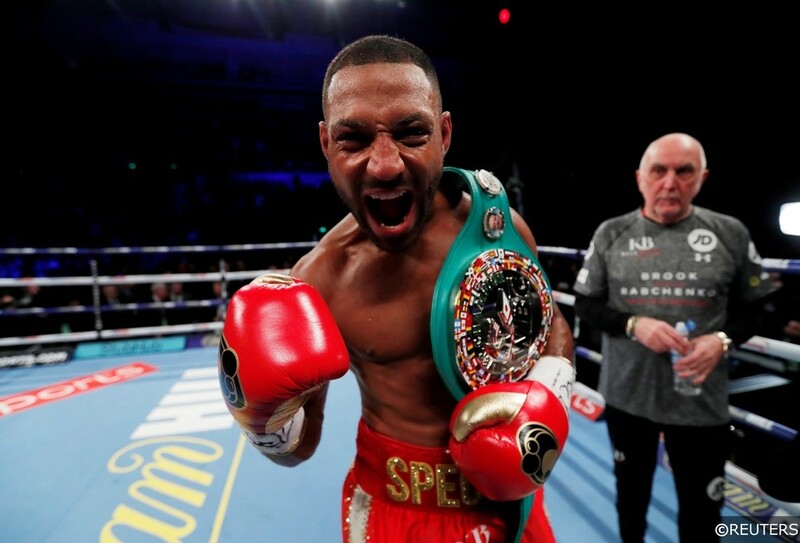 All eyes will be on Sheffield’s own Kell Brook in what should prove to be a ‘keep busy’ fight, but even if the clash with Khan cannot be made, Saturday’s fight also serves as an eliminator for Jarrett Hurd’s WBA World Super-Welterweight world title. The man in the the opposition corner should not be underestimated though and the former Commenwealth title holder is looking to upset the odds as he bids to crash onto the world scene. Kell Brook (37-2) is currently in the process of re-building his career after he lost his world title to Errol Spence Jr almost 18 months ago. Since then, Brook has admitted his days of making the 147 lbs limit are behind him and he has set his sights on capturing gold at 154 lbs instead, although it is likely that if he does get the Khan fight he has been chasing for much of his career, he will likely drop back down to Welterweight to make it worthwhile. At 32-years-old, it remains to be seen just how much more Brook has left in the tank and although he will no doubt have eyes on becoming a two-weight world champion, he knows that his last title stint lacked the sort of names on his record which would mean he went down as one of the great world champion this country has produced. There is also question marks over his trainer situation as the man who has been an integral part of his success over the years, Dominic Ingle, has not taken this camp as he has been too busy with the other fighters in the gym. Making the trip to Sheffield and hoping to beat the home fighter is Australian Super-Welterweight, Michael Zerafa (25-2). The 26-year-old has an impressive record and has already won regional honours as well as Commonwealth gold in his career. The man Melbourne has secured 14 of his 25 wins via knockout and he has lost just two of his 27 professional fights, including a stoppage loss to former WBO Middleweight ruler Peter Quillin in 2015. Special K is a fine boxer and now that he is no longer struggling with a big weight cut to make the Welterweight limit, we should see the best of him. Brook is certainly a product of the famous Ingle gym and although he fights out of an orthodox stance, he has an excellent jab and, although he does not have the hand speed or power hitting of some of the rivals in his division, his timing of the punch is up there with the best boxers around. Zerafa may have the sort of stoppage percentage which may lead you to believe that he is a big puncher, but when you dig into his record you will see that the majority of his stoppage wins have come against fighters who are undoubtedly in a lower class than the man stood across the ring on Saturday night. In fact, the only real name that is remotely close to Brook’s quality was Peter Quillin, and in that contest Zerafa was stopped after stepping up to Middleweight. Heading up the undercard is the final eliminator for the IBF World Super Featherweight title as Ireland’s Jono Carroll looks to line up a fight with title holder Tevin Farmer as he faces off against France’s Guillaume Frenois. Undefeated Jono Carroll (16-0) is one of the hottest talents to come out of Ireland in recent years and his steady progress through the division can take a major leap forward if he can defeat his European foe to jump onto the world stage. Although the lower divisions don’t tend to carry a lot of power, Carroll has managed to stop just three of his 16 opponents to date, a record which he will have to improve if he takes on the likes of Gervonta Davis in the future. The man in the opposition corner is Guillaume Frenois (46-1) and the Frenchmen’s near perfect record shows just how much of a step up it is for the undefeated Irishman. ‘Le’Expert’ is a highly skilled fighter whose only career defeat came in a challenge for the EBU European Super Featherweight title against Devis Boschiero back in 2013. Frenois did manage to put that defeat behind him and since rebuilding his career, he has also gone on to capture the title he was denied a few years prior. Although he is not fighting in his home country, Carroll is very much the ‘home’ fighter in this contest. Given his lack of power, if the Celtic Warrior is to emerge victorious then it is very likely that a points decision is on the cards. Carroll will want to take the fight to his opposition as he bids to make a statement and burst onto the world scene, but this is a step up in class to the calibre of fighter he has fought previously and should give a good indication of what lies ahead for the rest of his career. Like his opponent and many others in the Super Featherweight division, Frenois does not have the biggest knockout ratio on his record and just 26% of his fights have been won by stoppage. However, although his last two opponents were a lesser quality of foe than Carroll, neither managed to go the distance with the 35-years-old so the Frenchman’s power should not be underestimated. Josh Kelly vs David Avanesyan Predictions and Betting Tips as Sunderland’s highly rated prospect looks to steal the show from the Special One as he takes a major step up in class to face off against Russia’s former WBA interim Welterweight champion. Another of the former Olympians signed with Matchroom Boxing, Josh Kelly (8-0) has made quite the impression since he turned pro and he is already regarded as one of the leading prospects in world boxing at the moment. He has a mix of good hand-speed, power and accuracy in attack, but in defence his head movement and low guard makes him enthralling to watch. Pretty Boy Kelly already holds the Commonwealth Welterweight title and his trainer has long been talking him up as a potential opponent for the leading names in the Welterweight division before 2019 is over and done with. His opponent in this fight is a Russian who has already mixed it at world level, and although he did not quite have enough to win full world honours, the fact that he was an interim champion shows that he is a threat which should be taken seriously. David Avanesyan (23-3-1) was unsuccessful when challenging for the WBA Welterweight title back in 2017 as he suffered a points loss to Lamont Peterson, but the quality of opposition on his record certainly suggests he will give Kelly a tough nights work. However, given that in his last four fights he has only defeated a Shane Mosley who is well past his best and Serge Ambomo, who is perhaps best described as a journeyman, it appears that the Russian may be slightly on the slide. This is a contest which represents an opportunity for Josh Kelly to make a statement to rest of the division and he will no doubt be looking for a stoppage win as he tries to set up a contest with the likes of Amir Khan in the future. Kelly may not carry one punch knockout power but he is improving in every contest and his ability to break down his opponents is already at an impressive level. The man in his corner, Adam Booth, is also extremely talented and he has already said that Kelly is perhaps the best product to come from his gym. Although Avanesyan has fought for world honours, it would appear he is now resigned to life as the man who holds the key to the world level. In his last contest he was taken out in the sixth round by another highly regarded prospect, Lithuania’s Egidijus Kavaliauskas. However, if he is able to upset the odds against Kelly this weekend, then he knows he can mount a challenge to get back to world level and a second shot at a world title is not beyond the realms of possibilities. Team Tag: David Avanesyan, Guillaume Frenois, Jono Carroll, Josh Kelly, Kell Brook, and Michael Zerafa. Type of Bet: Tournament Preview. Sports: Boxing.